Brix Bar & Hostel is the result of a shared dream, realised sooner than any of us could have imagined. All of the staff used to work together at another hostel in Prague. Tired of seeing decisions made that we saw as having a negative effect on the guest experience, we realised that we could do a much better job on our own. And that’s where our story begins! After having lots of fun finding the perfect property and making all the necessary plans, we got the keys to the building on 1st January 2016. Then the real work began. Just four months saw a complete transformation from an empty white-walled office building to a stylish and functional travellers’ hostel. Whether it be picking out the bathrooms, assembling the custom-built bunk-beds, or painting the walls, our team designed our entire space with you in mind. Starting from the ground up means that we didn’t have to cut any corners. 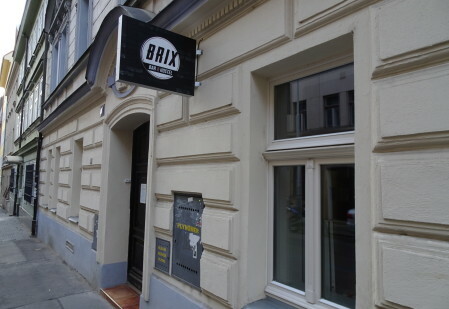 From amazing wifi to the comfiest of couches (and let’s not forget a seriously well-equipped bar 😉 ), Brix has everything you need to make sure your stay in Prague is totally unforgettable.